There’s nothing like meeting face-to-face with colleagues, employees, or clients for a more personal experience. In-person communication builds trust and credibility, strengthens relationships, and improves creativity and collaboration. But meeting in person may not always be practical or feasible, especially as budgets shift or as companies expand on a national and/or global scale. Communicating via email or chat works for some businesses, but often these methods can create confusion or misunderstanding due to lack of personal contact. Fortunately, Voice over Internet Protocol (VoIP) phone systems offer the next best thing: video conferencing. Video conferencing is one of the more prominent VoIP collaboration features because it’s convenient, cost-effective, and eco-friendly. But on top of these, this feature also allows businesses to avoid certain undesirable situations that are often associated with traveling for in-person meetings. Below are some of the common challenges that can be eliminated by using VoIP video conferencing. How many meetings have been postponed, delayed, or canceled because a participant wasn’t able to make it on time? According to the Wall Street Journal, at least 37% of meetings start later than the scheduled time. Oftentimes, meeting plans are derailed by traffic, airline delays, and other unforeseeable circumstances. But by meeting via a video conference, participants no longer have to travel and make additional preparations often associated with in-person meetings. They only need to prepare their computer or mobile device, ensure a stable internet connection, and be ready with their ideas or presentation to have a good and productive video conference experience. 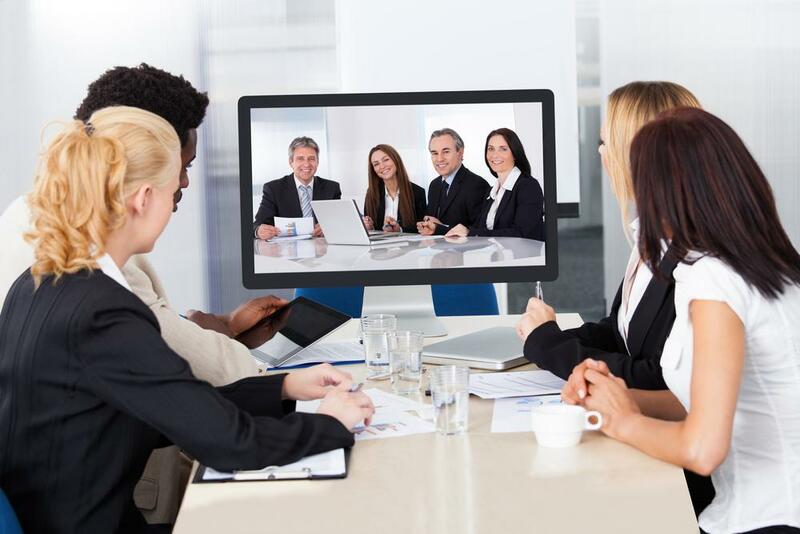 Using video conferencing helps to omit a number of common issues that could delay a meeting. For businesses, the old adage "time is money" could not be more true. So instead of spending time traveling to and from work or to your conference or meeting venue, your time can be better spent on an actual meeting. And with the popularity of VoIP mobile apps, holding a meeting on the go (and on any device) is possible! Various business VoIP service providers such as Jive, Vonage, and RingCentral integrate their video conferencing feature in their mobile apps for ease of use and connectivity anywhere. There are plenty of safety measures, security risks, and health problems associated with travel, especially when traveling overseas. As published on Harvard Business Review, frequent business travel increases the chances of a person suffering from a stroke, heart attack, and even deep-vein thrombosis. It could also result in employees falling into unhealthy lifestyles (such as improper diet, lack of exercise, etc. ), all of which can directly affect their job performance. There’s also the risk of losing company devices or company materials while on the road. By reducing business travel and deploying a video conferencing solution, organizations can avoid such risks to their employees and businesses. Training and seminars are important for organizations that want to improve the knowledge and skills of their employees. Unfortunately, the cost of hiring a guest speaker or expert (including the expenses for travel, food, and accommodations) and organizing the event can be highly prohibitive. With a video conferencing solution, companies can cut such costs by simply arranging a video conference or online training with the speaker. Organizing face-to-face meetings doesn't make sense when key people or stakeholders are spread across different locations or when a business needs to make decisions fast about critical issues. Video conferencing, meanwhile, offers the perfect solution for businesses to make quicker decisions and improve response time. All participants need to do is use their computer’s softphone client or a VoIP mobile app to immediately discuss pressing concerns and develop a strategy to address them. While face-to-face meetings still play a crucial role in organizations, certain factors may make it less viable or practical for some companies. But with VoIP’s video conferencing feature, businesses now have an alternative communications solution that is just as effective, reliable, and personal. Plus, they don't have to suffer from some of the common problems associated with face-to-face meetings.